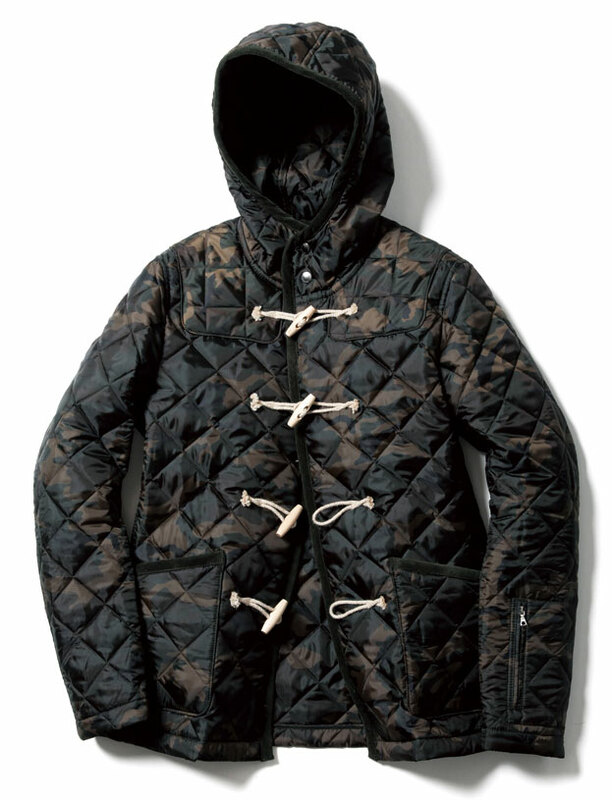 In my opinion, spending $752 on a blouson doesn’t make you a pretentious douchebag. Calling it a blouson, and not a jacket does. Please, for the sake of your manhood and maintaining your current circle of friends, never use that word. 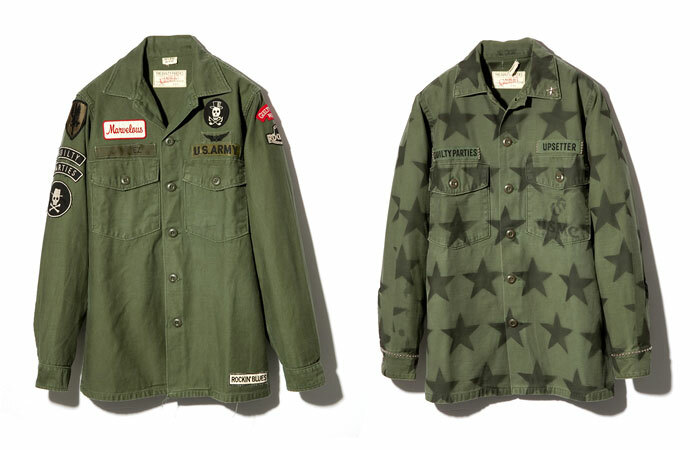 Interesting enough offering until I saw the “Guilty Parties” rockers on the jacket pictured on the right, and the name tapes on the left jacket, one of which reads “UPSETTER”. Seems to me like an anti military statement, which I am definitely not a fan of. What’s the deal with the “Marvelous” patch? Looks out of place, like something off a mechanic’s work jacket. Since 1953 Rothco has been pumping out clothing for the military, law enforcment, and the working man, all while remaining family owned and operated. Designer Jeff Staple from Staple Design sits down with the founder of the company, Milton Somberg to talk about the company’s place in the fashion industry. 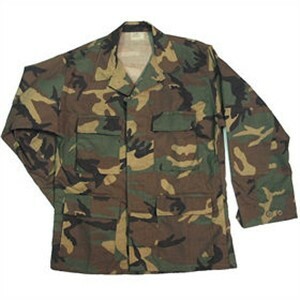 Milton Somberg says that military surplus clothing is so popular because it is a well made product. I agree with him on that, but I’d have to say that kids though, are no doubt just eating it up right now because all of the musicians, rappers, and actors they like stay rocking camo. No matter what I think a lot of the popularity and staying power of it in street culture has to do with the repetitive nature of the patterns themselves. I hope at least some people who wear camouflage appreciate the history and its intended function. Despite the fact I normally despise “urban” camouflage, I actually think the 3rd pattern looks the best. It’s got just the right mix of tones in my opinion. $195 over at Wings + Horns. I’m only a dozen posts deep on this blog and can already tell it’s going to cost me a lot of money. Everything I post about I want! If someone blindly described this shirt to me I would have definitely threw up a little bit in my mouth. Seeing the picture though, I actually really like it. The way the flannel shirt underneath peeks through is really unique. Collabs such as this are obviously just for fun, and I fully approve. 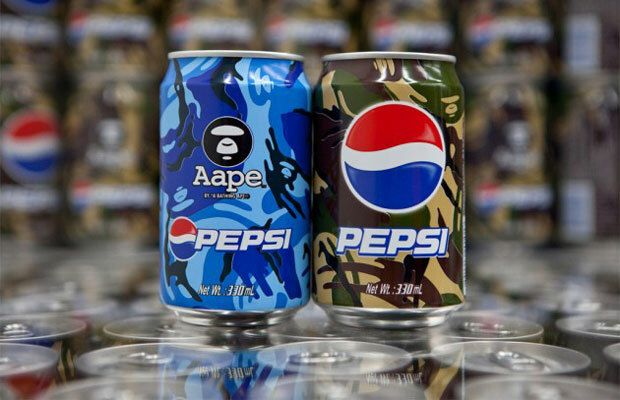 I’d like to know what goes on behind the scenes with the agreement though… obviously Pepsi is a bigger company than BAPE so that’s a huge advantage gaining that much exposure for a streetwear brand. On the other hand a collaboration such as this gives Pepsi quit a bit of extra street cred. which is always a good thing to have in such a cutthroat industry.